This is truly a Kidfrugal post. What I mean by that is this post is about one of the best purchases I ever made. We got a lot of mileage out of it. A few years ago, our VBS called for making a road – so I bought a roll of black paper with 1000 feet. 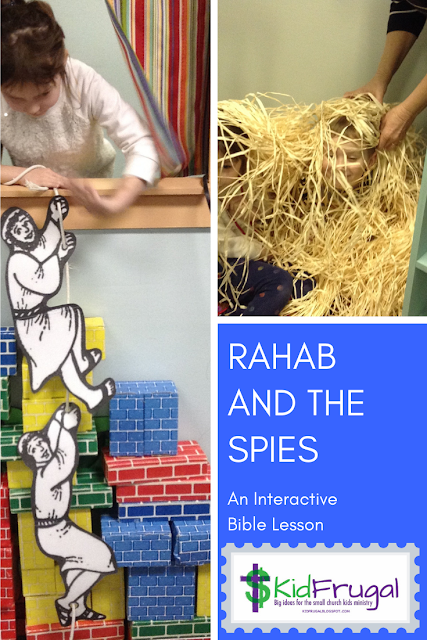 Here are some of the things we have done with the paper. 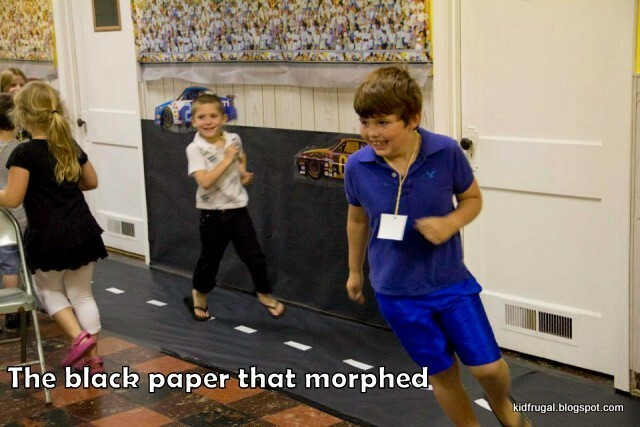 Race track on the floor: we used white duct tape to make the lines on the road. black paper from the floor to make this tree body and branches. 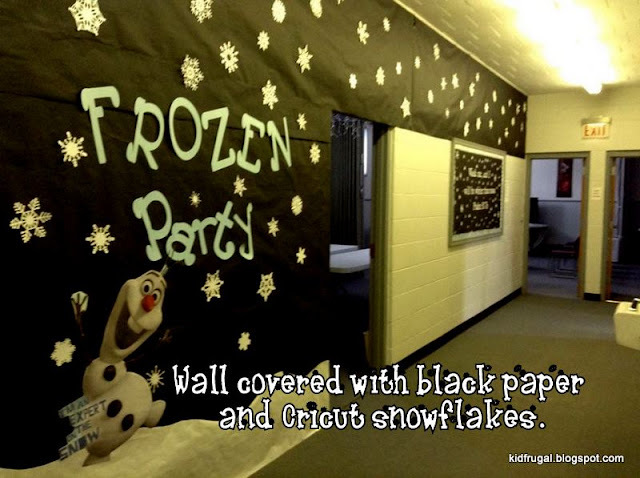 I used fresh black paper to decorate for a Frozen Party. I put it up a week ahead to advertise the party.